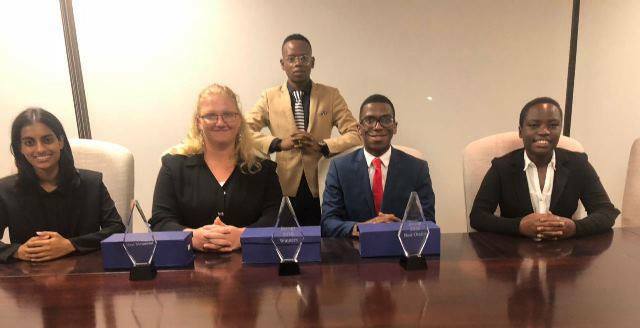 The University of Pretoria (UP) has, for the 14th time, won the South African round of the Philip C Jessup International Moot Court Competition, held in Cape Town recently. 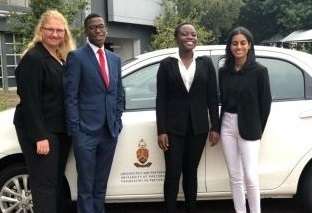 After facing the universities of the Western Cape and Johannesburg, the UP team won the 59th edition of the competition in all categories: Overall Best Team and Best Written Submissions, while final-year law student, Thomas White, won the prize for the Best Oralist at the competition. Jessup is the world’s largest moot court competition, with participants from over 645 law schools in 95 countries. The competition is a simulation of a fictional dispute between countries before the International Court of Justice, the judicial organ of the United Nations. This year, the case dealt with questions of nuclear disarmament obligations, maritime warfare, the validity of inter-state arbitral awards, freedom of navigation in a state’s territorial sea and the use of force under international law. The fictional dispute was between the People’s Democratic Republic of Anduchenca and the Federal Republic of Rukaruku concerning underwater vessels, the Egart and the Ibra. Rukaruku used autonomous underwater vehicles (AUVs) to collect optic and acoustic data to ensure the maritime safety in the Odassarra region. One of these AUVs, the Egart, operated in Anduchenca’s territorial sea. Anduchenca captured the Egart and refused to return it. Rukaruku instituted arbitral proceedings in which Anduchenca refused to participate. The arbitral tribunal found in favour of Rukaruku, and Anduchenca was challenging the validity of the award. 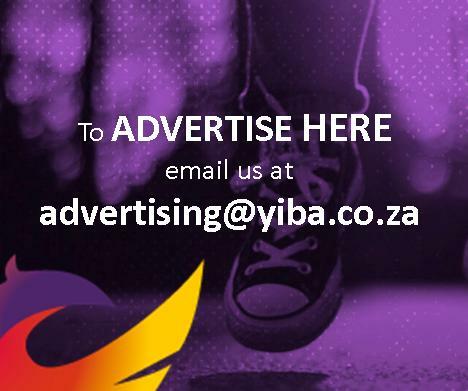 UP’s team consisted of Mary-Ann Gettliffe (LLM), Sohela Surajpal (LLB II), Rohula Bilankulu (LLB II) and Thomas White (LLB IV), and they prepared oral and written pleadings arguing both the applicant and respondent positions of the case. The team was coached by Gift Kgomosotho, a former Jessup champion and Best Oralist who was appointed by UP’s Institute for International and Comparative Law in Africa (ICLA). The team will be the only one from South Africa to compete in the international rounds of the Jessup Competition in April 2018 in Washington, DC. In 2017, UP finished 16th in the finals of the international rounds, ranking higher than some 600 law faculties across the globe. The University was ranked 92nd in the world for law in the 2017 Times Higher Education Law subject ranking.